Annette Bednosky's blog: We did it! : American Women take 2nd Place at 24 Hour World Challenge! 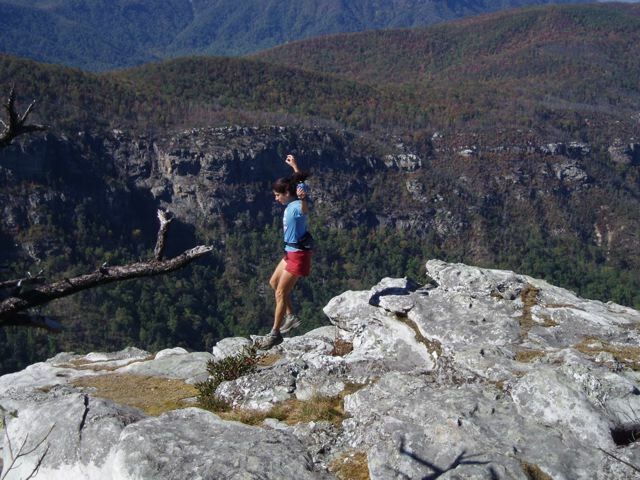 ANNETTE BEDNOSKY'S BLOG: This blog is about my observations,hopes,and experiences as an ultrarunner. Because ultrarunning overlaps with the rest of life, I also discuss work, school, my family and other assorted hobbies and essential elements of life! We did it! : American Women take 2nd Place at 24 Hour World Challenge! 3)USA's Scott Eppleman running down "crew station alley"
The 24-Hour World Challenge ended at 10am today, Italy time. A full life in 24 hours! I will write a report sometime this week, yet for now wanted to share a few photos and results! This is the first time the first time the American women have ever earned a spot on the podium in the team competition. It was all very exciting and emotional! It was a tense race for 2nd place between Italian women and American women for hours…yet more on that and more later. And I had 4 Amazing teammates: Jamie, Deb, Carilyn and Jen and great guys on the Men’s team AND George was there working all night too. Ok. More later! More info to follow on the World’s men competition! Bergamo Italy is beautiful! The race fabulously organized and very well executed. An excellent venue for the 230 runners and countless volunteers and staff! Full results, photos, etc are at the IAU website. I followed you night and day and saw how strong you were running--you worked your way up the standings as time went on! Congratulations, Annette! I can't wait to read your report. For now, enjoy your time in Italy with George. You deserve it! SO PROUD OF YOU!!!! The USA girls brung it!!! WAY TO GO ANNETTE!! i know you are so pumped and excited about team usa and your run. hope you and george enjoy the rest of your time in beautiful italy!! mamma gray will be waiting! Congrats Annette and the USA team for Second Place, So sweet!!!! Look forward to the race re-cap!! As an American Ultra-Running fan, I am so proud of you and Team USA. Great Team effort, way to hang in there and fight for it. I look forward to you report. As excited as I am for you and Team USA women, I am a little stunned at the Men's results. Wow, Annette, awesome work! Everyone in Western NC was pulling for you. Enjoy your stay in Italy. Great Job Annette! How impressive! Can't wait to hear more about the experience. awe, I'm in Awe...........wow ~ Seriously! PS. Let's put the grill to some good use as soon as You and George are up to it! The men's team had all sorts of unexpected and unwanted issues. Twisted hips, chewed up, blistered feet and emergence of reoccuring injuries. The guys had tough times with tough outcomes, yet despite their huge dissapointment, they were fabulously supportive and celebratory about the achievement of the women-and I value and respect that very, very much! Fantastic job, Annette! A top 10 world performance is something to be very proud of. And we in WNC are very proud of you as well! Have a great vacation, relax and savor this moment. I am the race director for New River Trail 50k: our sponsors! Getting back to “real life” after Italy. 24 Hour World Challenge, 11 hours 'till start! My name is Annette Bednosky. I am 48 years old, a high school counselor by current profession and an adventurer at heart. My greatest fear is being bored! I have been an ultrarunner for 12 years and in 2012 had to withdraw from the Montrail/Mountain Hardwear Racing Team after 8 years due to a nervous system condition. I didn't run a step from January of 2013 until November of 2013. While I've returned to running, I have not returned to training seriously (yet) and am enjoying marathons and 50kms. I live in the mountains of Ashe County, North Carolina in a little town called Jefferson. My husband George and I live with 15 year old kitty named Mama Grey in a small house in town. Besides running, I spend time flower and veggie gardening, quilting, and I like to work out in the gym. 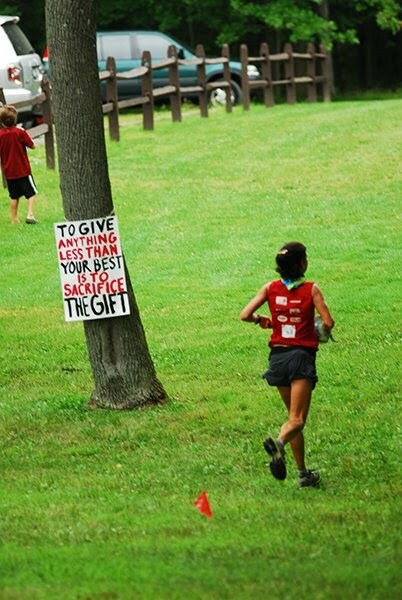 Races planned for 2012: coming soon!